Viva Iberica and Zaldi saddles are working together to provide a world class product with an unbeatable personal choice and fast service. A high tech lightweight saddle with seat and flaps just to suit you and your choice of colours, trim, seat depth and padding – and for your horse; the width, length and gullet space to be comfortable. Dressage, Spanish, Portuguese, Baroque, endurance or jumping saddles made just for you and your horse. Made by craftsmen backed by a company with more than 100 years’ experience and reputation. Can be made in an astounding 7 working days and delivered to your door by FedEx Express or Correos. Delivery is free of charge to UK and to most of Europe for most saddles and accompanying tack. Your choices on MOST saddles are incredible . . .
Seat depth; fairly flat, semi-deep and deep. Choice available on most saddles. Single or double seat padding. Panel length can be shortened for smaller riders on some saddles. Anatomic panel (extra shoulder movement on horses with a big movement). Self-colour or contrast stitching and/or piping. Material; leather or suede or a combination. Or the hi-tech Z-Plus material (with a huge colour range). Stirrup bar position and on Vaquera saddles a choice of traditional or modern safety type. Knee-roll and/or panel length options on some saddles. Thigh blocks rather than knee-rolls. New TM System - a completely adjustable thigh-block system to fit you and your riding style. 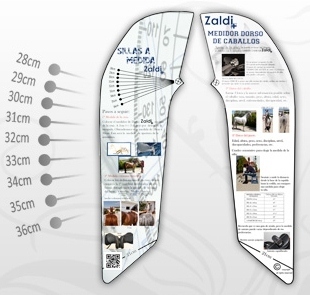 and help as best we can to ensure you are able order the correct size and fit for your horse. in conjunction with our comprehensive saddle sizing and fitting guide. The saddle will come to you at the same price as a standard ‘off-the-shelf’ model, except for just a few of the extras, such as the Anatomic panel or double seat padding, and there is an extra charge for the 19” seat. FEDEX Express for the fastest service direct to your door, or by Correos. Most saddles are delivered free of charge to UK and most of Europe. Approximately half price (we pay the other half) to USA, Canada, Australia and New Zealand. Delivered at cost price to the rest of the world. - Gullet widths from 5cm to more than 9cm. 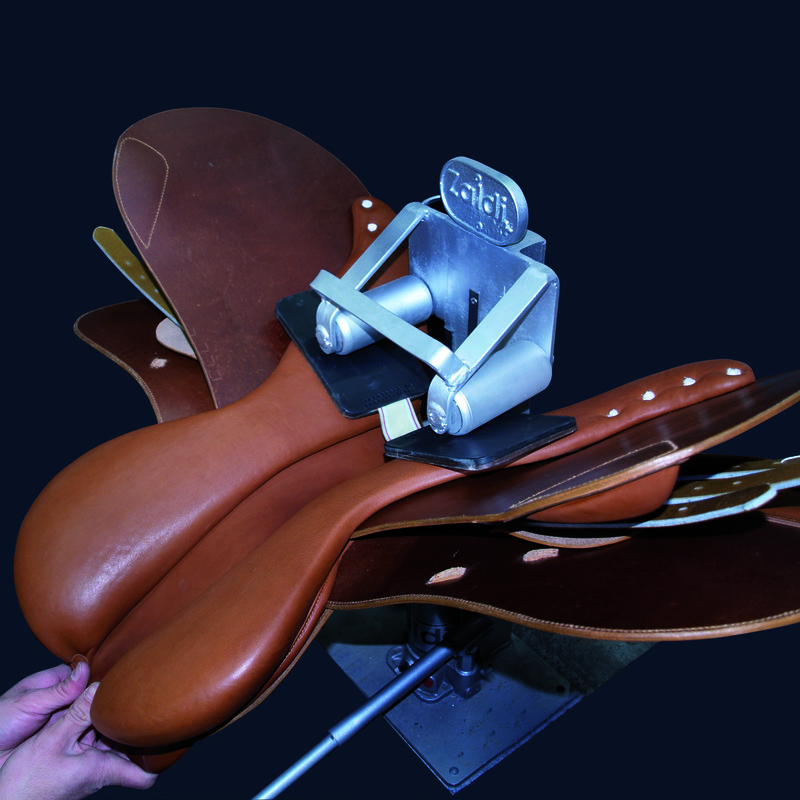 Most Zaldi saddles are width adjustable. he/she require a narrower or wider tree form with age or work. This service is free charge from either our UK office or our Spanish distribution centre for saddles purchased from us. If you bought a Zaldi saddle elsewhere and need it altered we still offer this service at a small charge. Salamanca workshops and naturally it will carry the same guarantee. Best European leather. Made by master craftsmen base on more than 100 years of tradition.